"I was born in an Asian country in an ethnically Asian family, grew up in a Latino country, and now live in the United States. To help me with growing up in a different culture, my parents taught me to stand up for what I believe in, back up my claims with substance, and to support those who need my strength. I live by those values both in my personal life and professionally at work. 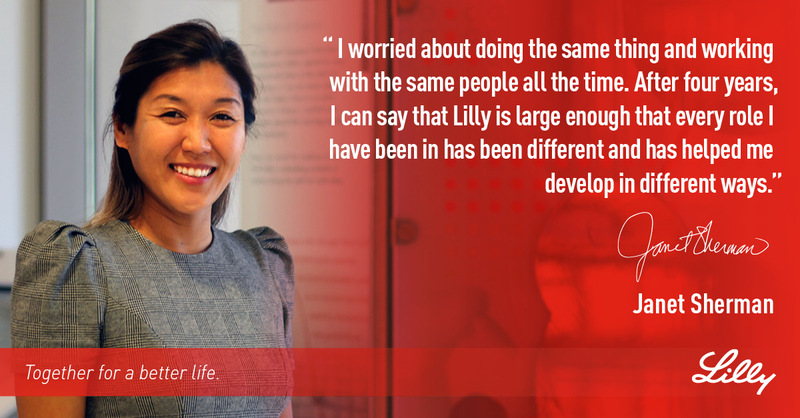 In any role at Lilly, the most important qualities to be successful are authenticity and credibility. You are always the trusted advisor, partner or leader for someone. Being knowledgeable lends credence to your work, and being true to yourself and to others cements credibility and trust."